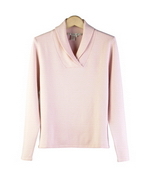 Women's stretch silk cashmere sweater jacket in sweetheart collar style. 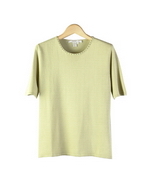 72% silk, 13% cashmere, 15% spandex. 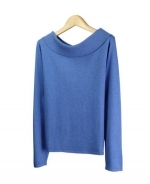 The fine knit gauge silk cashmere with spandex long sleeve jacket in smooth flat knit has a flatterng shape and fit. Very comfortable to wear. Easy to work with short and long skirts or pants. Dry clean for long lasting best results. Or hand wash cold, lay flat to dry. Steam or press the knit jacket with steam to achieve the original luxurious look and the hand-feel.